Abstract：In this paper, a 3D forward modeling of loop-source transient electromagnetic (TEM) response in biaxial anisotropic formation is proposed by using the mimetic finite volume method (MFVM). Firstly, the definition of inner product is introduced, and the governing equation of TEM method is transformed into a weak form under a natural boundary condition. The computational domain is divided into a series of control volume units. The staggered grid is used to simulate the finite volume space discretization of the governing equations, including the curl operator discretization and the spatial inner product discretization. Discretization of the curl operator is based on Stokes' Theorem. Discretization of inner product in the biaxial anisotropic formation is based on midpoint average. The backward Euler time stepping method, which is unconditionally stable, is chosen to discretize the governing equation in the time domain. Electromagnetic field distribution at the initial time is obtained by solving the magnetic field of the stable current loop source in the uniform space. When solving the governing equations in the time domain, the MFVM adopts double time step size for each m constant time steps (here m is an input parameter) and uses the direct method solver PARDISO to ensure the accuracy and efficiency where the coefficient matrix just needs to decompose only once for each m time steps. Finally, the computational accuracy and computational efficiency of the proposed algorithm are verified by comparing the results of the forward modeling with a layered model and the anisotropic half-space model. The forward response of the 3D biaxial anisotropy model shows that the horizontal conductivity has a significant impact on the electromagnetic response, while the vertical direction of the conductivity change has little effect. The main reason is that the induced current generated by the loop source is mainly horizontal, so the response is primarily affected by the conductivity in the horizontal direction, while the conductivity in the vertical direction has little effect. Barbosa E, Daube O. 2005. A finite difference method for 3D incompressible flows in cylindrical coordinates. Computers & Fluids, 34(8):950-971. Bladel J G V. 2007. Electromagnetic Fields. 2nd ed. Wiley IEEE Press. Börner R U. 2010. Numerical modelling in geo-electromagnetics:Advances and challenges. Surveys in Geophysics, 31(2):225-245. Castillo J E, Miranda G F. 2013. Mimetic discretization methods. Boca Raton:CRC Press. Collins J L, Everett M E, Johnson B. 2006. Detection of near-surface horizontal anisotropy in a weathered metamorphic schist at Llano Uplift (Texas) by transient electromagnetic induction. Physics of the Earth and Planetary Interiors, 158(2-4):159-173. Commer M, Newman G. 2004. A parallel finite difference approach for 3D transient electromagnetic modeling with galvanic sources. Geophysics, 69(5):1192-1202. Dennis Z R, Cull J P. 2012. Transient electromagnetic surveys for the measurement of near-surface electrical anisotropy. Journal of Applied Geophysics, 76:64-73. Di Bartolo C, Gambini R, Pullin J. 2004. Consistent and mimetic discretizations in general relativity. Journal of Mathematical Physics, 46(3):032501. Everett M E, Constable S. 1999. Electric dipole fields over an anisotropic seafloor:theory and application to the structure of 40Ma Pacific Ocean lithosphere. Geophysical Journal International, 136(1):41-56. Haber E, Ascher U, Oldenburg D W. 2002. 3D forward modelling of time domain electromagnetic data.//72th Ann. Internat Mtg., Soc. Expi. Geophys.. Expanded Abstracts. Haber E, Heldmann S. 2007. An octree multigrid method for quasi-static Maxwell's equations with highly discontinuous coefficients. Journal of Computational Physics, 223(2):783-796. Haber E, Ruthotto L. 2014. A multiscale finite volume method for Maxwell's equations at low frequencies. Geophysical Journal International, 199(2):1268-1277. Hyman J, Morel J, Shashkov M, et al. 2001. Mimetic finite difference methods for diffusion equations. Computational Geosciences, 6(3-4):333-352. Hyman J M, Shashkov M. 1997a. Natural discretizations for the divergence, gradient, and curl on logically rectangular grids. Computers & Mathematics with Applications, 33(4):81-104. Hyman J M, Shashkov M. 1997b. Adjoint operators for the natural discretizations of the divergence, gradient and curl on logically rectangular grids. Applied Numerical Mathematics, 25(4):413-442. Hyman J M, Shashkov M. 1999. Mimetic discretizations for Maxwell's equations. Journal of Computational Physics, 151(2):881-909. Jahandari H, Farquharson C G. 2015. Finite-volume modelling of geophysical electromagnetic data on unstructured grids using potentials. Geophysical Journal International, 202(3):1859-1876. Li J H, Zhu Z Q, Zeng S H, et al. 2012. Progress of forward computation in transient electromagnetic method. Progress in Geophysics (in Chinese), 27(4):1393-1400, doi:10:6038/j.issn.1004-2903.2012.04.013. Li J H, Farquharson C G, Hu X Y. 2017. 3D vector finite-element electromagnetic forward modeling for large loop sources using a total-field algorithm and unstructured tetrahedral grids. Geophysics, 82(1):E1-E16. Li X, Xue G Q. 2013. Study on Pseudo-seismic Migration Imaging of Transient Electromagnetic Method (in Chinese). Beijing:Science Press. Li Y G, Dai S K. 2011. Finite element modelling of marine controlled-source electromagnetic responses in two-dimensional dipping anisotropic conductivity structures. Geophysical Journal International, 185(2):622-636. Li Z H, Huang Q H. 2014. Application of the complex frequency shifted perfectly matched layer absorbing boundary conditions in transient electromagnetic method modeling. Chinese Journal of Geophysics (in Chinese), 57(4):1292-1299, doi:10.6038/cjg20140426. Lipnikov K, Manzini G, Shashkov M. 2014. Mimetic finite difference method. Journal of Computational Physics, 2014, 257:1163-1227. Mackie R L, Smith J T, Madden T R. 1994. Three-dimensional electromagnetic modeling using finite difference equations:The magnetotelluric example. Radio Science, 29(4):923-935. Marchant D, Haber E, Oldenburg D W. 2014. Three-dimensional modeling of IP effects in time-domain electromagnetic data. Geophysics, 79(6):E303-E314. Martí A. 2014. The role of electrical anisotropy in magnetotelluric responses:From modelling and dimensionality analysis to inversion and interpretation. Surveys in Geophysics, 35(1):179-218. Mattsson J, Engelmark F, Anderson C. 2013. Towed streamer EM:The challenges of sensitivity and anisotropy. First Break, 31(6). Peng R H, Hu X Y, Han B, et al. 2016. 3D frequency-domain CSEM forward modeling based on the mimetic finite-volume method. Chinese Journal of Geophysics (in Chinese), 59(10):3927-3939, doi:10.6038/cjg20161036. Sun H F, Li X, Li S C, et al. 2013. Three-dimensional FDTD modeling of TEM excited by a loop source considering ramp time. 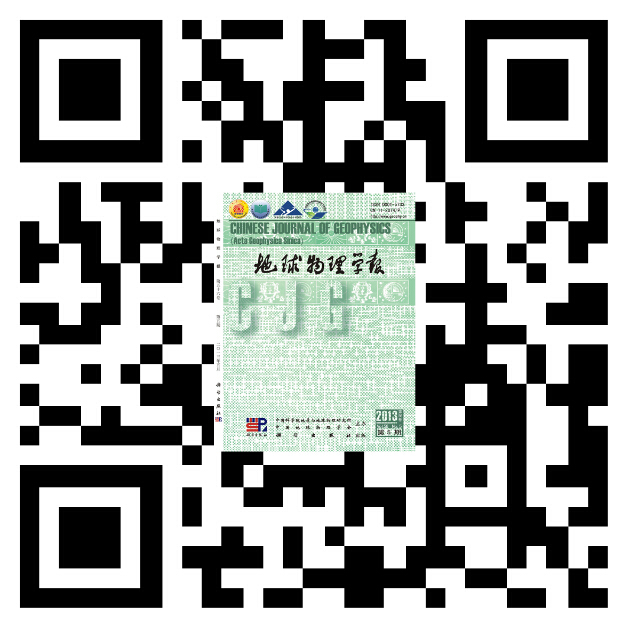 Chinese Journal of Geophysics (in Chinese), 2013, 56(3):1049-1064, doi:10.6038/cjg20130333. Schenk O, Gärtner K. 2004. Solving unsymmetric sparse systems of linear equations with PARDISO. Future Generation Computer Systems, 20(3):475-487. Um E S, Harris J M, Alumbaugh D L. 2010. 3D time-domain simulation of electromagnetic diffusion phenomena:A finite-element electric-field approach. Geophysics, 75(4):F115-F126. Volakis, J L, Sertel K, Usner B C, 2006. Frequency Domain Hybrid Finite Element Methods in Electromagnetics.//Synthesis Lectures on Computational Electromagnetics. Morgan & Claypool. Wang T, Hohmann G W. 1993. A finite-difference, time-domain solution for three-dimensional electromagnetic modeling. Geophysics, 58(6):797-809. Ward S, Hohmann G W. 1998. Electromagnetic theory for geophysical applications.//68th Ann. Internat Mtg., Soc. Expi. Geophys.. Expanded Abstracts. Weiss C J, Constable S. 2006. Mapping thin resistors and hydrocarbons with marine EM methods, Part Ⅱ-Modeling and analysis in 3D. Geophysics, 71(6):G321-G332. Xue G Q, Li X, Di Q Y. 2008. Research progress in TEM forward modeling and inversion calculation. Progress in Geophysics (in Chinese), 23(4):1165-1172. Yang B, Xu Y X, He Z X, et al. 2012. 3D frequency-domain modeling of marine controlled source electromagnetic responses with topography using finite volume method. Chinese Journal of Geophysics (in Chinese), 55(4):1390-1399. Yin C C, Qi Y F, Liu Y H. 2016. 3D time-domain airborne EM modeling for an arbitrarily anisotropic earth. Journal of Applied Geophysics, 131:163-178. Yuan G W, Sheng Z Q. 2007. Analysis of accuracy of a finite volume scheme for diffusion equations on distorted meshes. Journal of Computational Physics, 224(2):1170-1189. Zhang Y, Wang H N, Tao H G, et al. 2012. Finite volume algorithm to simulate 3D responses of multi-component induction tools in inhomogeneous anisotropic formation based on coupled scalar-vector potentials. 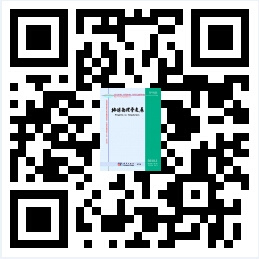 Chinese Journal of Geophysics (in Chinese), 55(6):2141-2152, doi:10.6038/j.issn.0001-5733.2012.06.036. 李建慧, 朱自强, 曾思红等. 2012. 瞬变电磁法正演计算进展. 地球物理学进展, 27(4):1393-1400, doi:10:6038/j.issn.1004-2903.2012.04.013. 李貅, 薛国强. 2013. 瞬变电磁法拟地震偏移成像研究. 北京:科学出版社. 李展辉, 黄清华. 2014. 复频率参数完全匹配层吸收边界在瞬变电磁法正演中的应用. 地球物理学报, 57(4):1292-1299, doi:10.6038/cjg20140426. 彭荣华, 胡祥云, 韩波等. 2016. 基于拟态有限体积法的频率域可控源三维正演计算. 地球物理学报, 59(10):3927-3939, doi:10.6038/cjg20161036. 孙怀凤, 李貅, 李术才等. 2013. 考虑关断时间的回线源激发TEM三维时域有限差分正演. 地球物理学报, 56(3):1049-1064, doi:10.6038/cjg20130333. 薛国强, 李貅, 底青云. 2008. 瞬变电磁法正反演问题研究进展. 地球物理学进展, 23(4):1165-1172. 杨波, 徐义贤, 何展翔等. 2012. 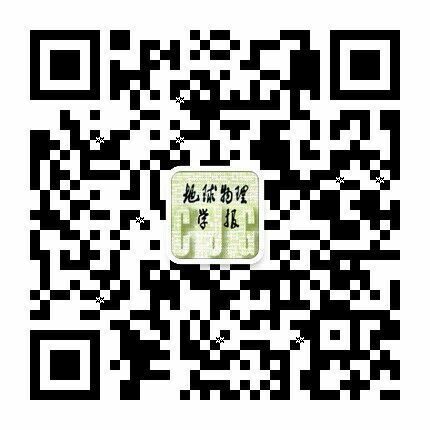 考虑海底地形的三维频率域可控源电磁响应有限体积法模拟. 地球物理学报, 55(4):1390-1399. 张烨, 汪宏年, 陶宏根等. 2012. 基于耦合标势与矢势的有限体积法模拟非均匀各向异性地层中多分量感应测井三维响应. 地球物理学报, 55(6):2141-2152, doi:10.6038/j.issn.0001-5733.2012.06.036. 李建平, 翁爱华, 李世文, 杨悦, 唐裕, 张艳辉. 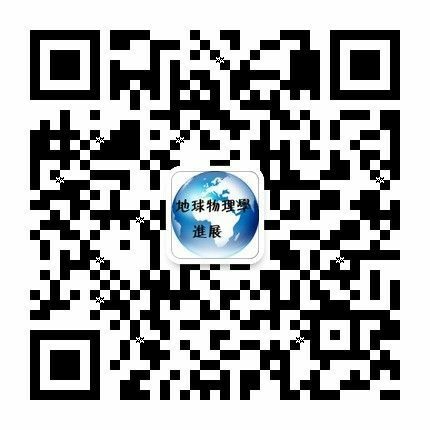 海洋效应对中国沿海地磁观测影响——以广州台站为例[J]. 地球物理学报, 2018, 61(2): 649-658. 王贺元, 薛国强, 郭华, 周楠楠. 均匀半空间瞬变电磁场直接时域响应数值分析[J]. 地球物理学报, 2018, 61(2): 750-755. 刘玲, 殷长春, 刘云鹤, 邱长凯, 黄鑫, 张博. 基于谱元法的频率域三维海洋可控源电磁正演模拟[J]. 地球物理学报, 2018, 61(2): 756-766. 武欣, 薛国强, 肖攀, 饶丽婷, 郭睿, 方广有. 瞬变电磁采样函数优化法降噪技术[J]. 地球物理学报, 2017, 60(9): 3677-3684. 王杰, 张晓培, 牛建军, 杜立志. 地面瞬变电磁探测系统对比试验[J]. 地球物理学进展, 2017, 32(6): 2670-2676.